Before the end of this year, healthcare software maker eRelevance hopes to add another 700 medical-clinic customers to the more than 100 it already has, while also tripling its staff to about 30, according to founder and CEO Bob Fabbio. A $1.4 million seed round in January is helping the Austin, TX, company get there, though eRelevance will likely need more funds in the near term, Fabbio said in a telephone interview. Fabbio, a serial entrepreneur who sold systems management software company Tivoli to IBM in 1996, founded eRelevance as a business that combines software with marketing. ERelevance sells its services to physicians—currently plastic surgeons and medical spas—offering a software program that communicates directly with current and potential patients on behalf of the clinics, in hopes of finding people who will schedule a checkup or treatment. Before talking with patients, eRelevance determines who to target. 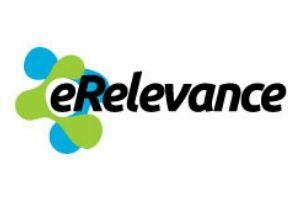 For an orthopedic surgeon that wants to reach people with advanced arthritis, for example, eRelevance would scan through the physician’s patient list and use its software to narrow the field of contacts. It might cut out anyone under 55, and focus on only those with have private insurance who haven’t had a checkup in a few years, Fabbio said. Then it starts texting. The software contacts the patients via text message or the eRelevance app, asking questions that would mimic a doctor. For potential arthritis patients, that might include whether they suffer from joint pain while climbing stairs, Fabbio said. The software attempts to engage patients in a full conversation, including pleasantries and, if eRelevance knows something specific about someone, such as that they enjoy golfing, it’ll ask when the last time they played was, Fabbio said. That the conversation is engaging, and that people are being directly contacted by a doctor’s office (even if it is via a robot), makes this system successful, Fabbio contends. ERelevance makes it clear to patients that they are communicating with an automated system, not a doctor, Fabbio said. Even though they know it’s a computer, people still respond as if they were talking to a doctor, he said. “When the doctor asks somebody to do something, you get a different response than BlueCross or Walgreens or your employer,” Fabbio said. That’s something Fabbio discovered when he was the CEO of WhiteGlove Health, a company he founded in 2006 that provides paying members basic healthcare service in the home or the office, as well as more intricate medical care such as acute care for larger businesses. Fabbio left his CEO role there in January 2013 for personal health reasons. He founded eRelevance in July 2013 after his health recovered, he said. WhiteGlove used a program that tried to engage patients, and it did so at a rate of 18 percent to 28 percent, higher than the standard, he said. At eRelevance, he said, he has invented a unique approach to similarly engage people. He hopes it can eventually be used beyond just physicians clinics. “If you can create a conversation between two parties—it could be between car owners and automotive services businesses—this could be a very large business,” Fabbio said. A clinic’s patient can choose to not participate, Fabbio said, and the company complies with the Health Insurance Portability and Accountability Act. ERelevance has received total seed funding of $2.5 million. Its recent $1.4 million round was led by Nashville, TN-based Martin Ventures.